As much as I personally love Arrow, even I had to admit that a few missteps were taken with season 4, just as some of the cast and crew have. That said, it was all the more satisfying to see the daddy of The CW’s shared DC TV universe return to form this year, effectively serving up its best effort since season 2. Aside from Stephen Amell continuing to be an all-around badass each week, Team Arrow gained some new recruits such as Mr. Terrific, Wild Dog and even a new Black Canary, helping to keep the series feeling fresh. Not only that, but Prometheus made for the best big bad the show’s seen since Deathstroke (who also made his return late in the game), and may have very well been the deadliest, most calculating threat Oliver Queen has encountered to date. 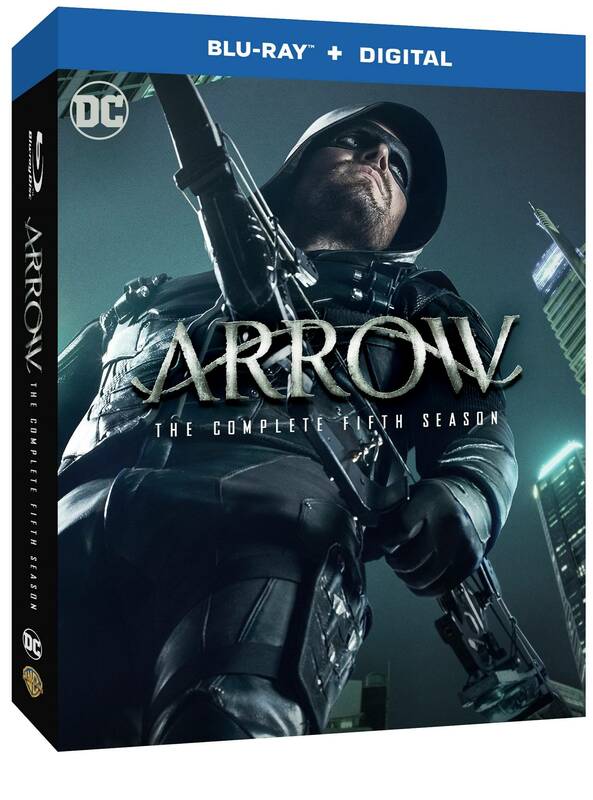 With that, we’re excited to say that Arrow: The Complete Fifth Season will make its way to Blu-ray and DVD on September 19. Once it arrives, you’ll be able to relive the journey or embark on it for the very first time – just know that you’re in for one heck of a finale once you make it to the finish line.